Diane Alberts has always been a dreamer with a vivid imagination, but it wasn’t until 2011 that she put her pen where her brain was, and became a published author. Since receiving her first contract offer, she has yet to stop writing. Though she lives in the mountains, she really wishes she was surrounded by a hot, sunny beach with crystal clear water. She lives in Northeast Pennsylvania with her four kids, a husband, a schnauzer mutt, a cat, and a Senegal parrot. In the rare moments when she’s not writing, she can usually be found hunched over one knitting project or another. 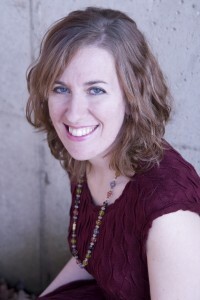 She is a multi-published, bestselling author with Entangled Publishing, Swoon Romance, and Decadent Publishing. She has, as of this date, four books with Entangled Publishing, one book with Swoon Romance, and five older books with Decadent Publishing. Her February release with Entangled Publishing, ON ONE CONDITION, hit #18 on the Barnes and Noble Bestseller List, and TRY ME hit #76 on Amazon. Her Swoon Romance novella, CAPTIVATED BY YOU, hit #31 on the Barnes and Noble bestseller list. Her goal is to write so many fantastic books that even a non-romance book fan will know her name. She also writes New Adult books under the name Jen McLaughlin. Diane is represented by Louise Fury from the L. Perkins Agency.